National delegation for validation 2015-2019 “Valideringsdelegationen 2015-2019” consisting of 15 stakeholders that follows, supports and pushes for a regulated work to establish validation on both regional and national level. They will also focus on forming an overarching national strategy on validation. Every national agency concerning validation is autonomous and carries their own responsibilities. The implementation of validation is decentralised at national and regional level. Validation has been developed bottom-up. The Budget Bill of 2016 is directed to improve the possibilities for validating real competences in HE. Everybody who want their actual competences assessed for admission or for credits should have that opportunity. 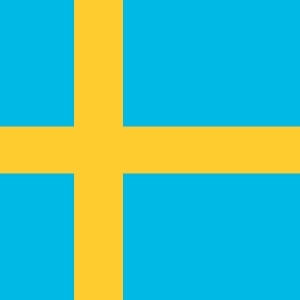 The Swedish Council for HE is appointed to coordinate and support validation within the sector. There is no regulated framework for validation. Validation can be used to acquire credits towards both full and partial qualification. In Sweden, validation practitioners include diverse types of actors in charge of different stages of the process. Career and guidance counsellors are commonly major practitioners in the phase prior to the validation process in order to identify the purpose of validation for the individual and to follow up the process at different stages. In order to be able to assess the individual’s Real competences (reell kompetens) knowledge, skills or competences in a certain trade or subject, more in-depth knowledge in that specific area is needed. In this stage of a validation process adequate teachers or professionals within that specific sector manage the process. Since the increase of asylum seekers, the main focus lays on developing better validation methods to assess their prior learning. Validation is performed and supported through Swedish ‘folkbildning’ (liberal/civic adult education for adults), which is considered to be part of the third sector. It has largely focused on validation of generic skills and competences. ‘Folkbildning’ is a parallel educational pathway to the formal system, with strong connections to various NGOs covering most of civil society. The Budget Bill of 2015 provided by the Swedish government proposed 141 million SEK to intensify validation. The biggest part of these extra budgets is assigned to reduce waiting and processing times for assessment and recognition of foreign educational qualifications.